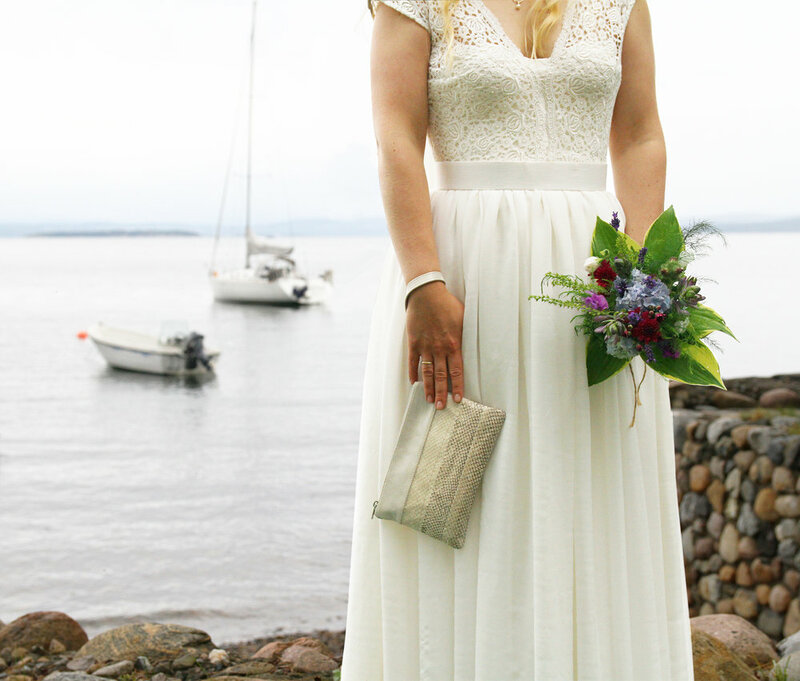 Pictures of the lovely bride Vilde who has chosen a classic clutch bag in natural salmon leather to accomplish her wedding outfit. 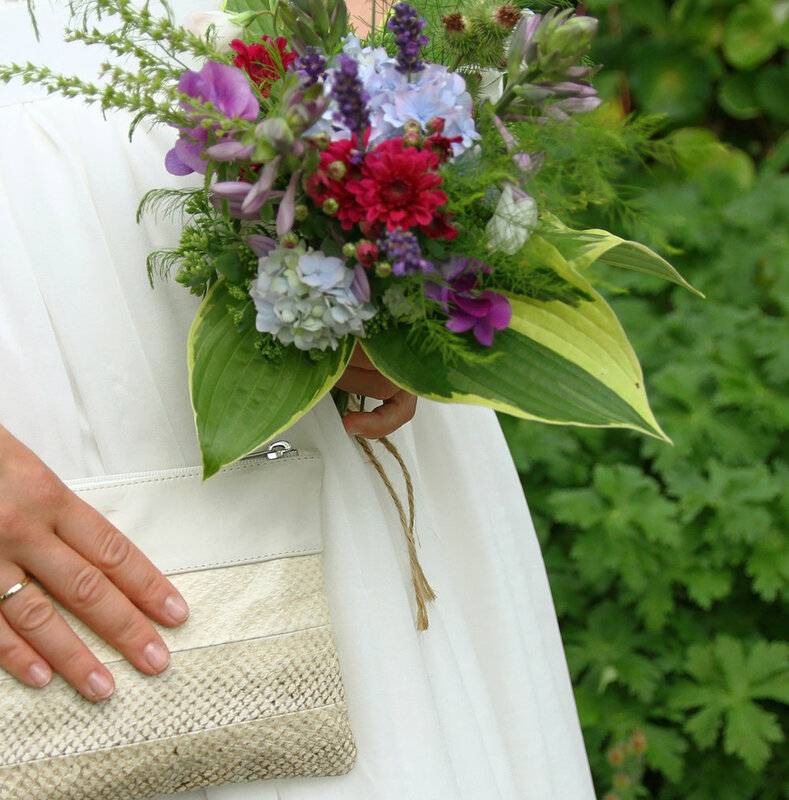 PS: If you´re a bride to be this summer (or just love the clutch bag), you can get it right here! Picture taken by Vilde Blix.